There are so many awesome places to ride in and around Memphis. Here are some of our favorites. Be sure to check the websites to get all the up-to-date information. Big River Crossing is the longest pedestrian bridge over the Mississippi. It's a fun ride, a rad way to cross the river, and an excellent way to get to Pancho's in West Memphis for some cheese dip. What type of bike riding: You can use any bike you want! Overton Park is a 342-acre public park in the middle of Memphis. 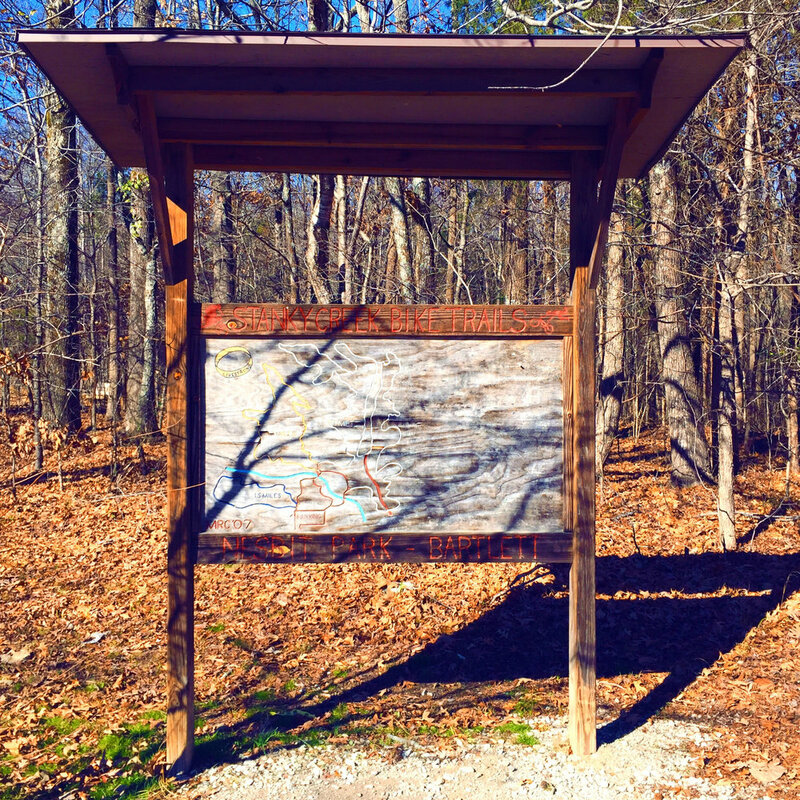 There's an awesome old forest, playgrounds, public art, and lots of trails to ride. There's even a dog park, in case your dog is your riding buddy. What type of bike riding: You can use whatever bike you want! You can hop on the Greenline in Memphis and ride all the way to Shelby Farms Park (or go the opposite route, you're the boss!). The path is a smooth, paved 10.8 miles, and if you look closely and are lucky you can see a turtle or two. I'm in love with Shelby Farms. It is a huge park with something for anyone, even if that anyone is a buffalo. There are paved trails for easy riding and unpaved trails that are awesome for mountain biking. What type of bike riding: You can use whatever bike you want! And you can rent bikes there, too. Get some stank in your crank! Get out to Stanky Creek if you want some awesome mountain biking. The trails are beautifully maintained by Stanky Creek Cycling, so give them a high five, too. What type of bike riding: We recommend mountain bikes. Kid-friendly: Yes, but the shortest trail is 2 miles and has some technical aspects. Be sure your little one is ready for that kind of fun. Need another mountain bike option? Head to Herb Parson Lake. Kid-friendly: Yes, but the trail has some technical aspects. Just be sure your little one is ready for that kind of fun.